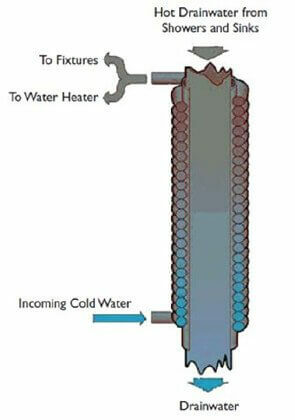 A Drain Water Heat Recovery System (DWHR) recovers heat from water that would otherwise be lost down the drain. It works best with simultaneous flows like showers, where there is a demand for hot water at the same time hot water is going down the drain. The recovered heat can be used to preheat cold water going to the hot water tank, or for other purposes permitted by codes and regulations. 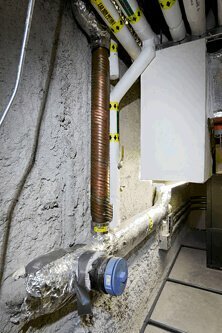 A DWHR unit consists of copper pipe tightly wound around a vertical section of copper drainpipe (Figure 1). As water flows down the drainpipe, it clings to the inside surface of the drainpipe. The heat from the drain water is transferred through the copper drainpipe to fresh cold water flowing in the outer copper coil. 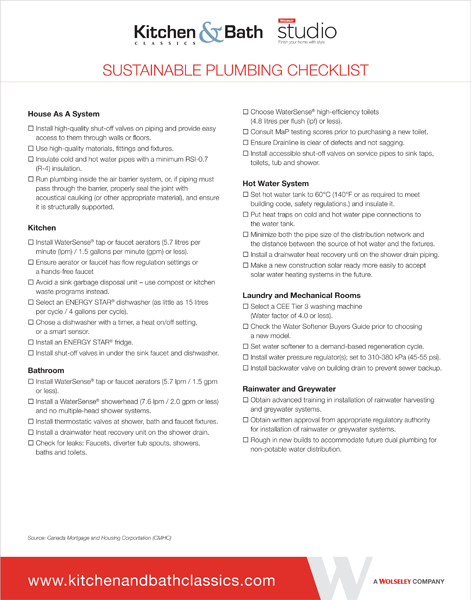 The warmed water is then sent either to the hot water tank or other permitted end-use. In either case, the amount of energy needed to provide hot water is reduced. DWHR systems provide greater potential for energy savings as the number of simultaneous flows increases. Water heating accounts for 20-25% of the total energy consumption in a typical home, DWHR units can reduce hot water requirements for showering by 40-60%. 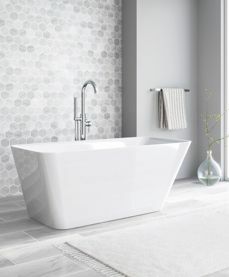 The system is most cost-effective for households with three or more occupants who use the shower more often than the bathtub. 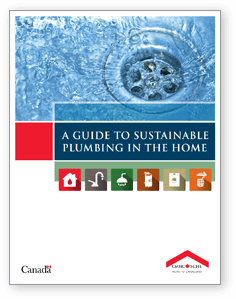 Actual cost savings are dependent on energy costs, location, system configuration, hot water heater type and water usage. If the hot water is supplied by a 78% efficient natural gas hot water tank, this DWHR unit could recover enough heat to provide up to 15% of the overall hot water needs (about 130 m3 of gas). 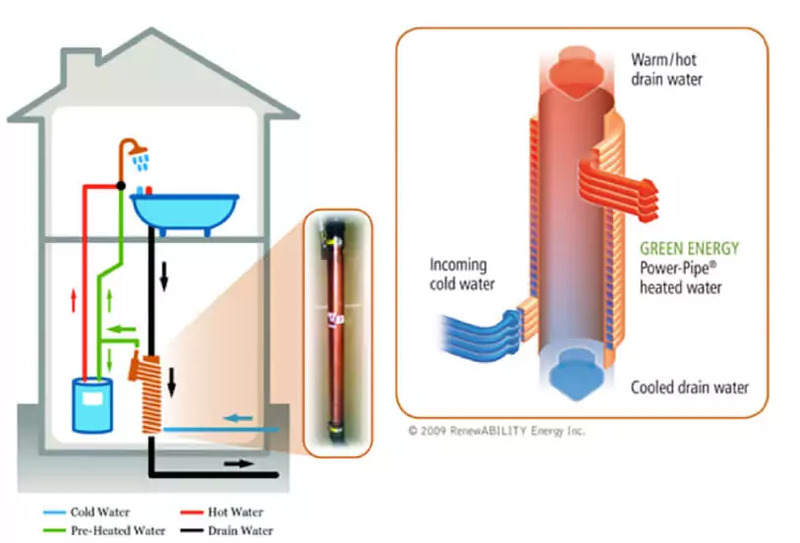 If the hot water is supplied by a conventional electric hot water tank, this DWHR unit could recover enough heat to provide up to 20% of the overall hot water needs for the household (about 1100 kWh).